Speeches hold a great significance, no matter what the occasion is. And, if the event is as special as wedding then speeches have a vital role to play. There are different twists can be added to the wedding speech. Although you can keep it simple but adding drama to it uplifts the mood. In brief, wedding speeches can bring different emotions – joy, laughter and tears – all in a one go. There are so many things that you get to discover from those speeches. However, Mother of the bride speeches should be most interesting. You must try to deliver speech that is outstanding and unique. 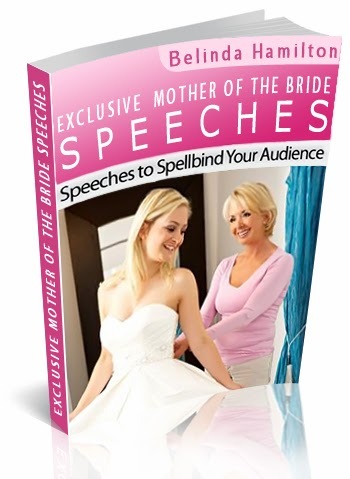 If you want to create memorable as well as wonderful mother of the bride speech, it is important that you are aware of the basics as well. That is one of the reasons you are here reading this write up. This post will help you in understanding the basics of preparing speech. There are three components that are common to every wedding – best advice for the couple, funny lines and memorable stories. Each of these three components has their own significance. Do not put any form of words or lines that are inappropriate. There is no need to give any reason to anyone to offend. Given them the right words and bring happiness on the face of couple. As it is a great moment, it has to be simply the perfect. One of the best ways to begin the speech is by opening it with funny lines. Starting with funny lines give everyone a reason to listen to what you have to say. You can start with a funny joke or your experience when you first discovered that your daughter is all set to get married. It is all about catching their attentions and from there you can pick up your speech making it more interesting. If you are considering opening the speech with memorable stories then make sure you choose the ones that are interesting. Make sure that you pick the real and genuine stories, something your daughter can recognise as well. You can also share the moment and your feeling when your daughter was born and you took her in your arms for the first time or how you felt when she walked for the first time. In all the ways, you have to make sure that she feels loved and special during this speech. It is important for you to understand that your daughter is not the only person who wishes to listen to good stories but her husband also deserves to be mentioned and acknowledged in the speech. Being mother in-law, it is equally important for you to make him realize how you feel about him and that you are eager to welcome him to the family. There is no denying in the fact that you can bring tears of happiness in the eyes of couple and make guests entertained. Make sure that you involve guests by adding light humour here and there. Involving guests mean that they will listen to your speech with interest. They can laugh, giggle and smile but giving them a reason to cry is just a way of adding that pinch of sentiments and emotions in the entire speech. 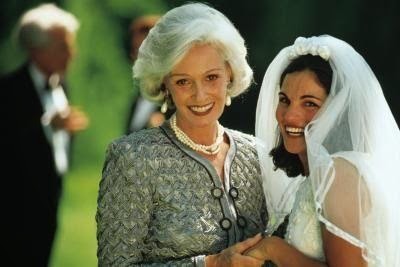 If you get to know the basics right then creating mother of the bride speech will not be difficult at all. Just make sure that you follow the above slated guidelines when creating the speech. There is no denying in the fact that you might be more proud as well as excited when it comes to sharing those little things with guests. So, get started now if your daughter is all set to enter into wedlock. It is the wedding speeches that make the entire occasion all the more memorable. Just think yourself – parents giving speech adds a kind of fun and excitement to the overall scenario. And, now if your daughter is all set to enter wedlock then is your turn, being her mother, to give a speech. There is no doubt that you might be more excited than anyone else to give this speech. When it comes to the mother of the bride speeches then you have to prepare well.